2Vegetable and Ornamental. Dept., Fac. Of Agric. Damietta Univ., Damietta, Egypt. There has been a rising demand for nanotechnology-based products in recent years, particularly in agriculture application. 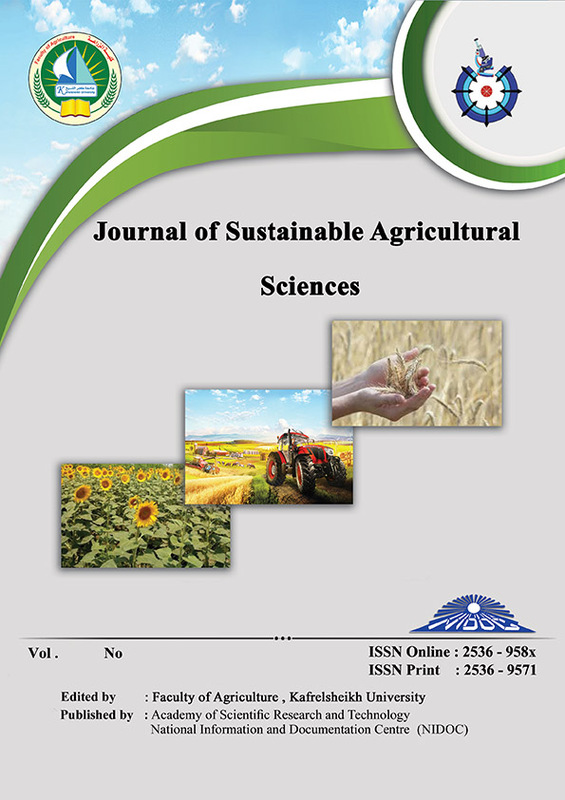 In this effort, the phytotoxicity and stimulatory effects of graphite and silica Nanoparticles (NPs) on seed germination, yield characteristics, chemical conformation and root anatomical characteristics of (Pimpinella anisum L.) cv. anise were studied. Seeds were soaked in six concentrations of the two NPs (0, 20, 40, 60, 80 and 100 ppm) for 24 hrs to investigate germination under laboratory conditions. The same concentrations were used soaking and foliar application in the open field. The results displayed that silica NPs improved seed germination traits as comparing graphite NPs. Silica NPs at 20 and 40 ppm, showed the highest germination parameters for anise seeds. The increasing in germination % reached to 21.88%. Meanwhile, 80ppm silica NPs enhanced the seeds yield fed.-1 by 64.8%, Number of umbels by 50%, root diameter plant-1, epidermis thickness and cortex thickness. Silica NPs (60ppm) increased biochemical characteristic. Otherwise, graphite NPs (80ppm) enhanced volatile oil% and root vascular cylinder thickness. In general, there was a considerable response by anise seeds to graphite and silica nanosized presenting the possibility of a new methodology to overcome problems with seed germination and increasing the oil percent in some plant species, mostly medicinal plants.